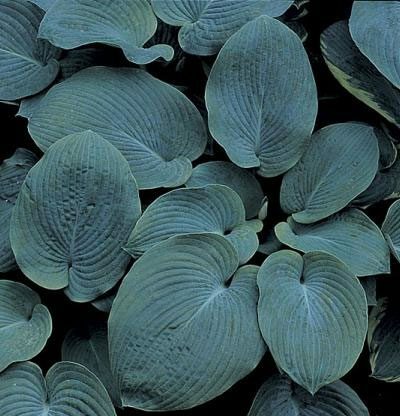 The Elegans hosta features very distinctive foliage. When the leaves first emerge in the spring, they have a blue-gray appearance. As the foliage is fully revealed, it takes on a blue-green quality. Its flowers are equally unique. The blooms on this variety of hosta are particularly showy. They’re white with hints of purple and even make good cut flowers. They’ll attract hummingbirds and butterflies, too, throughout their blooming season of June to September. Expect these plants to grow from two to three feet high and from three to four feet wide. Plant them in part shade or full shade and they’ll be very low maintenance. Just keep an eye on their moisture levels to make sure they don’t dry out during the hot summer weather.